I am currently running a Whatsapp Group, Make Money Writing, and I have been amazed at lot’s of ideas available out there. It’s only up to us to stretch our hands far enough, to reach them. 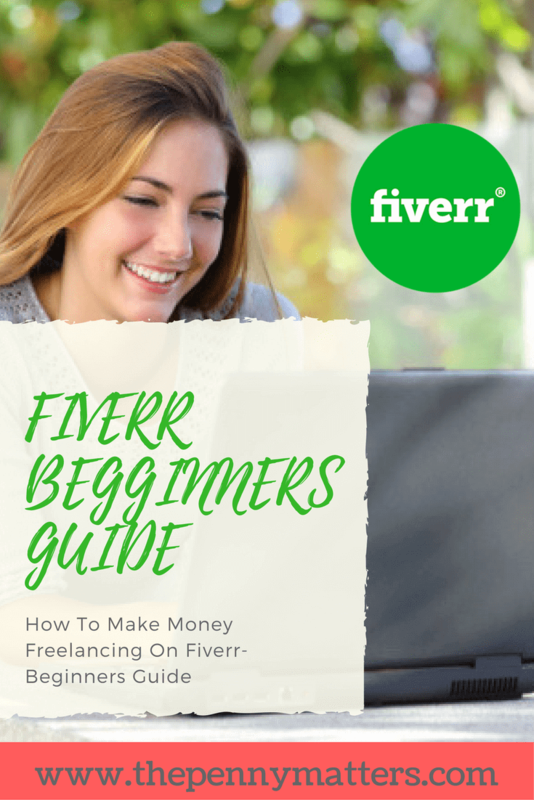 In this post, I am going to discuss another of such great resource, Fiverr, and how you can use to start earning money online. When it comes to Fiverr, your freelancing world is unlimited. It is only up to you to open your eyes wide enough to see and grab the opportunities. HOW DO YOU KNOW IF FIVERR IS FOR YOU AS A FREELANCER? Now that you have decided to take your freelancing services to another level, the first step is to head to Fiverr and create an account. Unlike Freelancer, you do not have to pay to be a member or to access unlimited bids. To create an account, you will need an email, username and password. Alternatively, you can also sign up with Facebook or Google. Hi, I am a proficient eBooks writer with a keen interest on Non-fiction category. I also write insightful How-to articles that wows your readers. Being a published amazon kindle author and an avid blogger , you can be rest assured of quality service. And yeah, I love seeing people win! In the GIG TITLE field, write a title up to 80 characters.Your title should be short, clear, and to the point. In the CATEGORY drop-down menu, select the appropriate category and then subcategory for your Gig. In the SERVICE TYPE drop-down menu, choose a service type to ensure you appear in the search results related to the category you selected.Note: This feature is only available for certain categories. In the GIG METADATA area, select the relevant criteria for each topic.Note: This feature is only available for certain categories. In the TAGS field, add a minimum of three words or phrases, which best describe your Gig. In the Name your package area, write a brief title for the service you are offering. Describe the details of your offering in the area provided. In the Delivery Time drop-down menu, select the number of days it will take for you to complete your Gig. Select the various items you would like to include in your service. This depends on the type of service you are offering. For example, if you are offering logo design services, you can select from a predefined list of items, such as number of logos to include, In including the source file, or including a high resolution file. In the Revisions drop-down menu, select the number of revisions you include in your Gig. the Price drop-down menu, select a price for your service (ranging from $5 to $995). In the Description field, briefly describe your Gig (up to 1,200 characters). Be as detailed as possible so buyers will be able to understand if this meets their needs.Note: Do not add urls or any links in your description or you profile, unless it falls under the approved list. In the Frequently Asked Questions area, click Add FAQ.Note: Here you can add answers to the most commonly asked questions. Your FAQs will be displayed in your Gig page. Add a question you think buyers may ask, and then write your answer. When finished adding your FAQs, click Save & Continue. STEP 4: Requirements . Tell your buyer what you need to start the order. You can define instructions for your buyer as free text, a multiple choice question, or a file upload. In the Answer Type field, select either Free Text, Multiple Answer, or Attached File.Note: If you select Multiple Answer, answer fields will be displayed. Fill out the multiple choice answers you want the buyer to select. You also have the option to allow more than one answer. If you require the buyer to provide the information you selected, mark the Answer is mandatory checkbox. When finished defining your buyer requirements, click Save & Continue. In the Gig Photos area, drag an image or click Browse and select an image.Upload photos, which describe or relate to your Gig. You may upload up to three images. The photos can be samples of your work.Do not use copyrighted images otherwise your Gig won’t be approved. In the Gig Video area, drag a video or click Browse and select a video.Note: This field is optional. We recommend that you mention your services are offered exclusively on Fiverr. Make sure your video is no longer than one minute. In the Gig PDF area, drag a PDF or click Browse and select a PDF. You may upload up to two PDF files.Note: This field is optional. Only the first three pages of your PDF will be displayed. Click Publish Gig.You will see various social networks in which you can promote your Gig. To promote your Gig, just click an icon and fill out the details. Note:If your Gig contains a video, its status will be pending until your Gig video is reviewed. If your Gig does not contain a video, it will be labeled Active. looking forward to contact you soonest I am ready to begin freelancing. Sure I agree with you. I work on Fiverr too and for me, it is the best freelancing account I can say I have met awesome buyers. Thanks for the article. Thanks Lydia. I hope you will be sharing your tips soon. I never thought of fiver. I know it exists but I never thought of using it to make an additional income. Thanks. great article. God bless you more. Thanks Tim for reading through. Much blessings as well. Thanks for the guideline. I have successfully completed the registration process and the creation of my first gig. How do I earn from all that now? Just sit back and hope someone requests for my services?